Harlem Quartet was founded in 2006 by the Sphinx Organization. The original four members were all first prize laureates of the Sphinx Competition. The Organization wanted to create a group comprised of first place laureates to achieve the overall mission of bringing classical music to inner-city school children. Our name, Harlem Quartet, was given to us by the Sphinx Organization. It comes from the neighborhood in New York City that holds such a rich piece of American history – The Harlem Renaissance. During the 1920s, Harlem became a beacon of hope where educated African Americans migrated looking for better opportunities in the North. We like to think that the work we do–bringing classical music to schools in Harlem and around the world–is in line with this cultural renaissance Harlem represents for African-Americans. Since its public debut in 2006 at Carnegie Hall, the New York-based ensemble has performed throughout the U.S. as well as in France, the U.K., Belgium, Panama, Canada, and recently in South Africa, where under the auspices of the U.S. State Department in May 2012 they spent two weeks on tour performing concerts and participating in outreach activities. Harlem Quartet has been featured on WNBC, CNN, the Today Show, WQXR-FM, and the News Hour with Jim Lehrer. 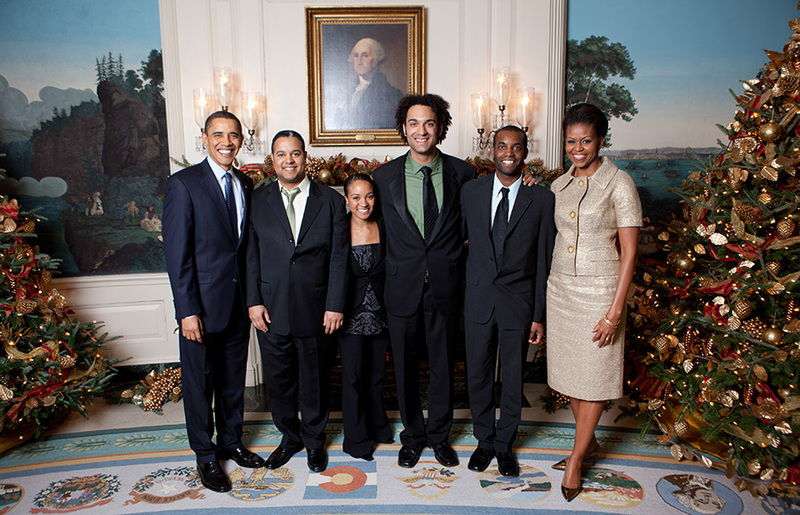 In 2009 they performed for President Obama and First Lady Michelle Obama at the White House and appeared Christmas morning on NBC’s Today Show. For the first four years Harlem Quartet was together, we had an office in Harlem where we rehearsed daily. We were conceived as an instrument to realize a much bigger goal than ourselves: to diversify and create new audiences for classical music. We found that including jazz repertoire made our concerts more appealing for a younger audience and we enjoyed presenting both genres. What started as a tool to be more accessible to the kids, developed to a true affinity for jazz. Subsequently we started incorporating more jazz repertoire to our regular concerts to the point that it shaped our artistic identity as a group. Thanks to this stylistically bilingual quality, Harlem Quartet went in a recording studio with jazz legends Chick Corea and Gary Burton. 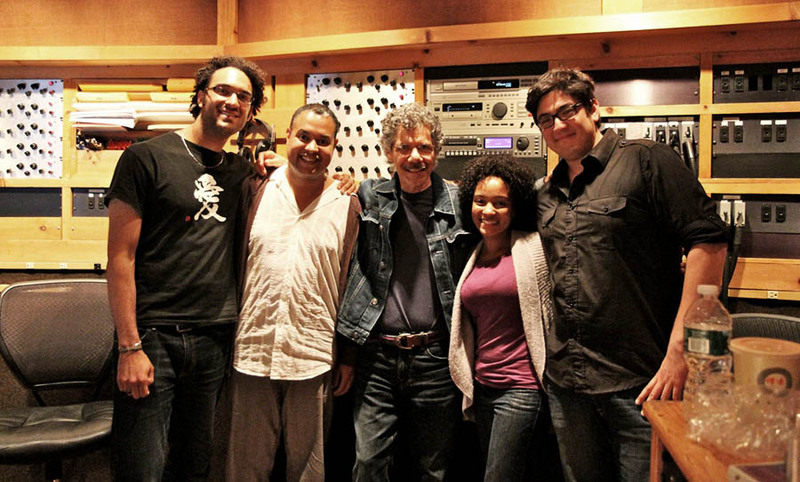 As it turned out the track we recorded together “Mozart Goes Dancing” was awarded a Grammy in 2013! 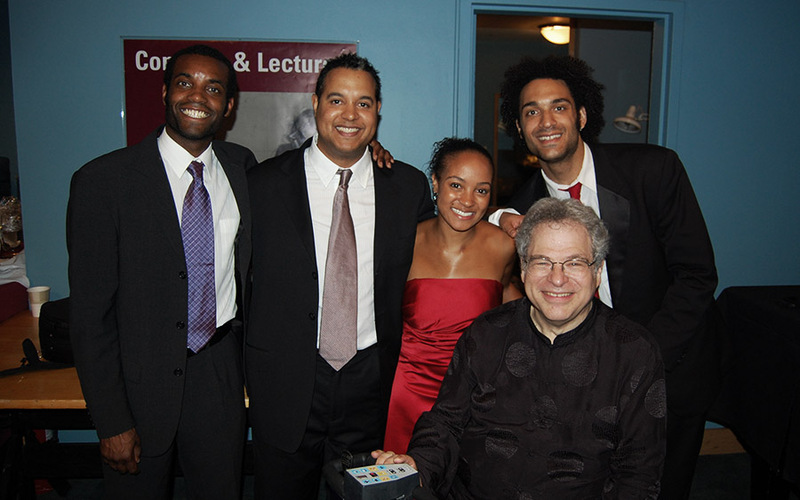 In addition to performing on chamber music series around the world, Harlem Quartet have collaborated with such distinguished performers as violinist Itzhak Perlman, Ida Kavafian, cellist Carter Brey, Paul Katz and clarinetist Anthony McGill and Paquito D’Rivera.